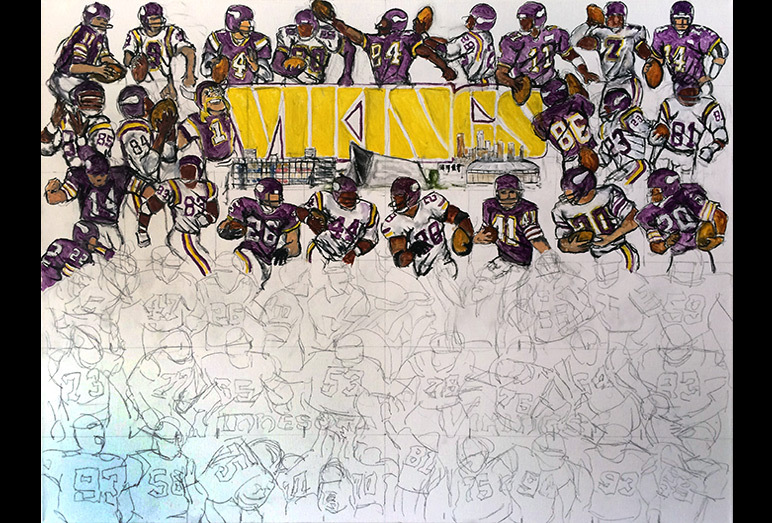 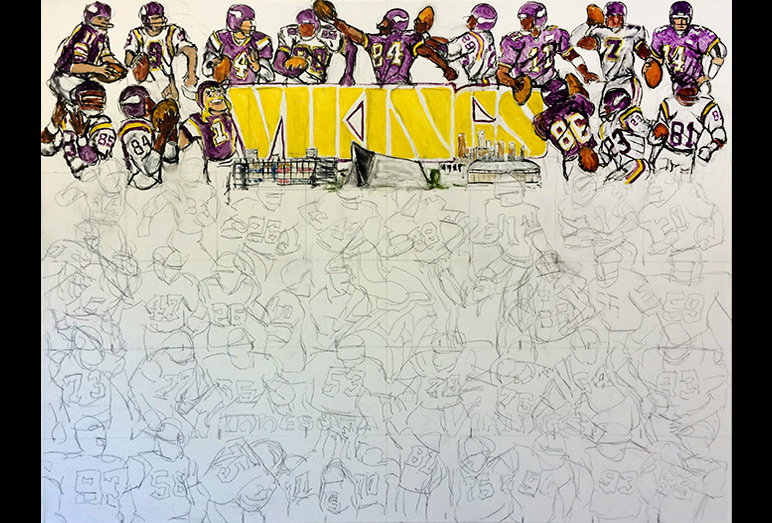 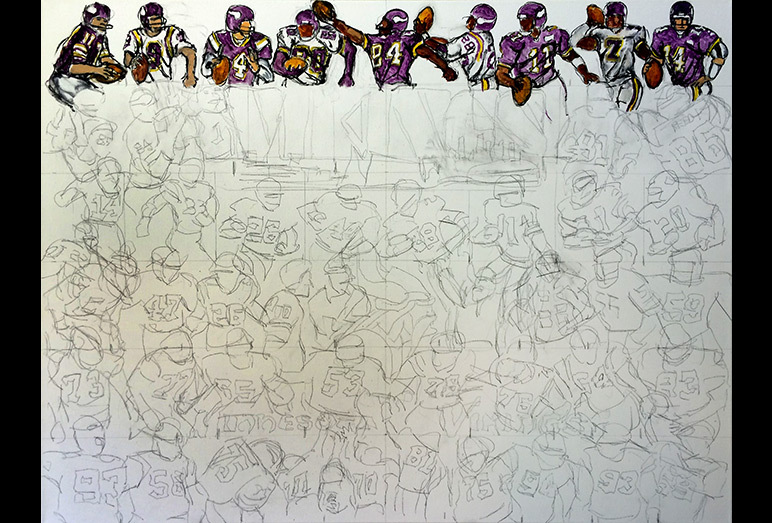 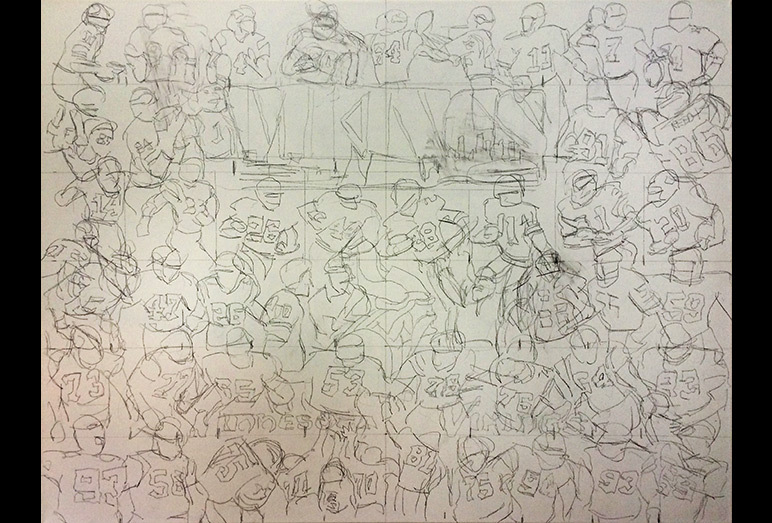 Vikings Tribute -- Painting Progression -- Use controls to view all images. 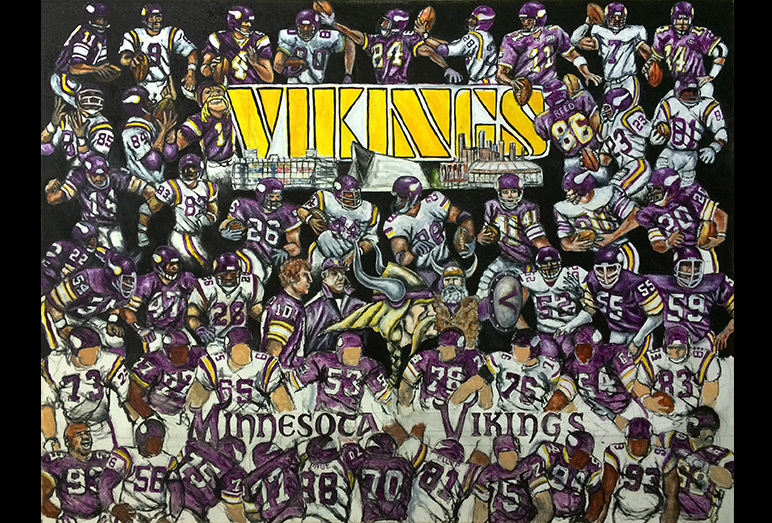 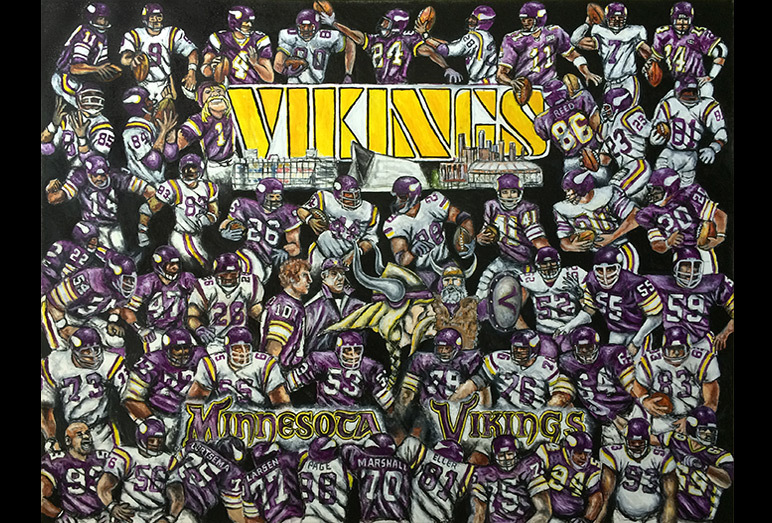 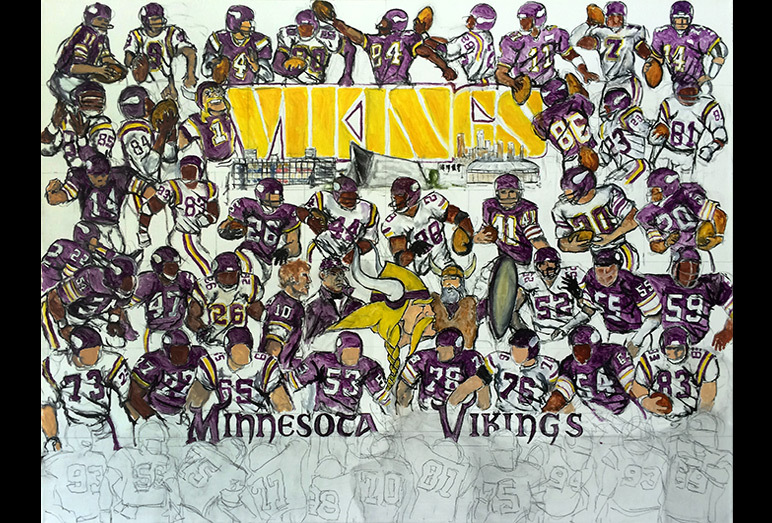 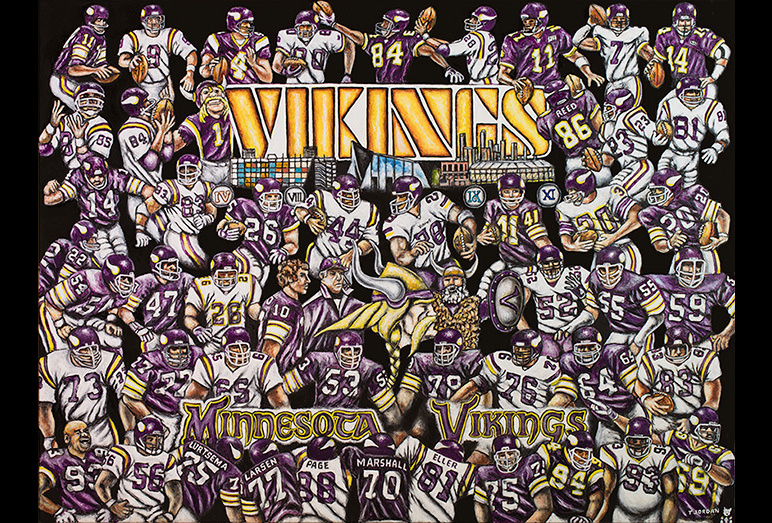 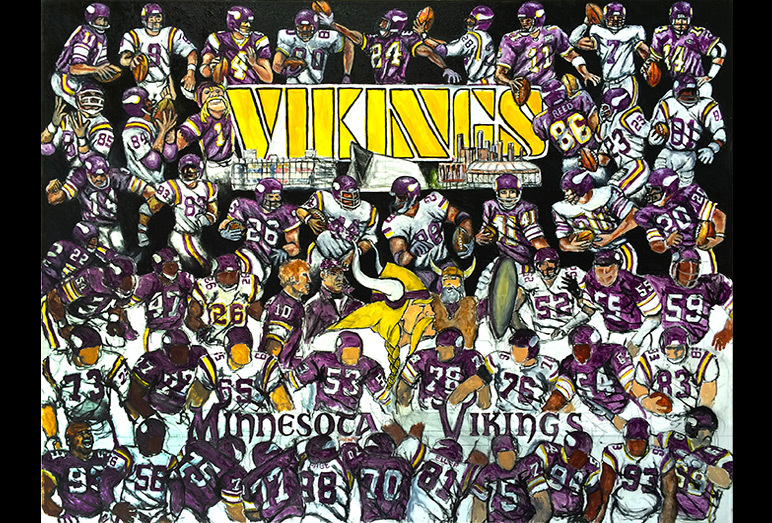 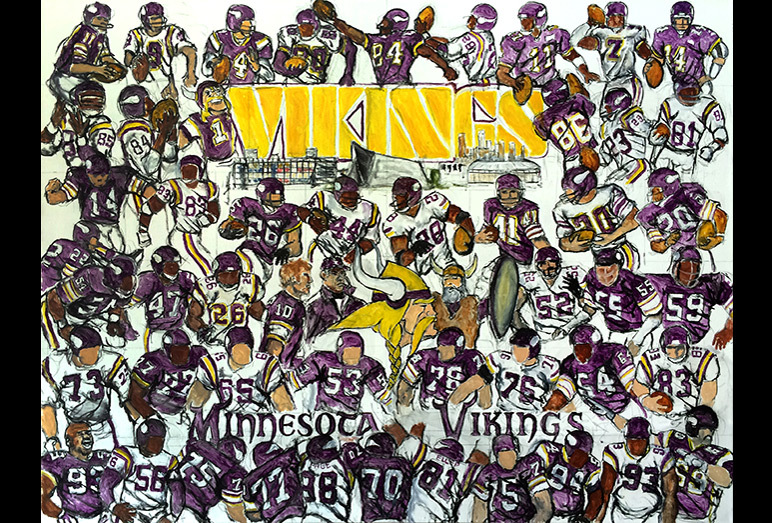 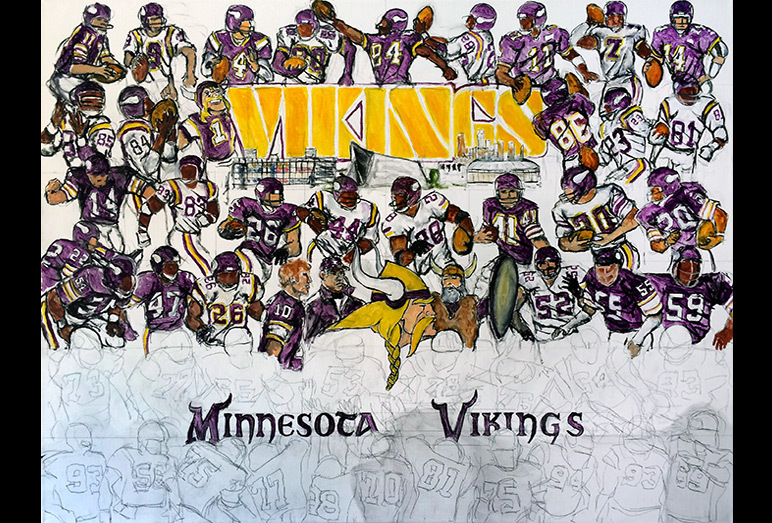 Loyal fans are the foundation of every great sports franchise and although my paintings cover teams and personalities across the entire sports arena, I will always be a loyal and true Minnesota Vikings fan. 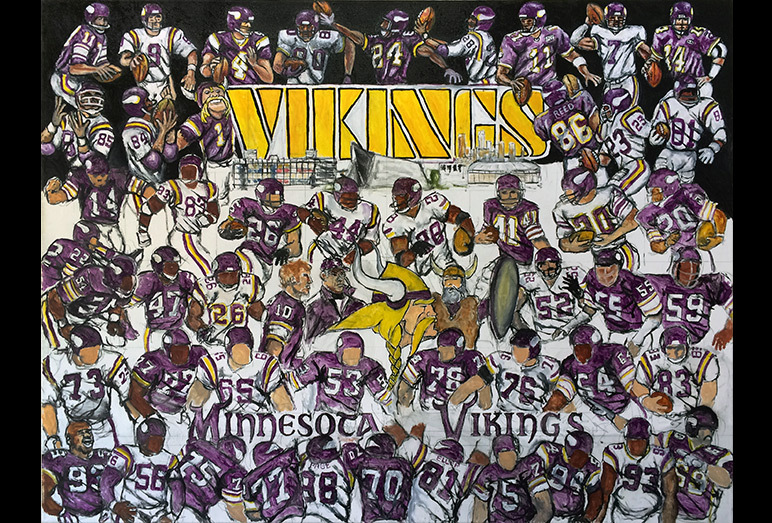 That means this painting is especially fun for me and full of so many wonderful memories, some great and some heart breaking, but I would not give them up for the world.